Daqo New Energy to Announce Third Quarter 2011 Financial Results on Nov. 14 , 2011. CHONGQING, China, Nov 09, 2011 (BUSINESS WIRE) -- Daqo New Energy Corp. (NYSE: DQ) (Daqo or the Company), a leading polysilicon manufacturer based in China, today announced that it plans to release its unaudited financial results for the third quarter ended September 30, 2011 on Monday, November 14, 2011, before the US market opens. The Company has scheduled a conference call and live webcast to discuss the results at 7:00 AM Eastern Standard Time on November 14, 2011, which corresponds to 8:00 PM Beijing/Hong Kong time on the same date. A live and archived webcast of the conference call will be available on the Investors section of Company’s website at www.dqsolar.com. 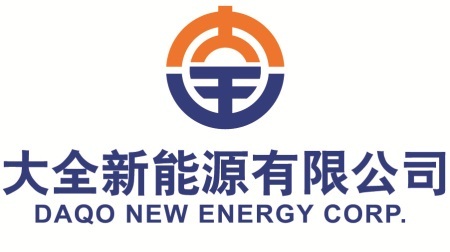 Daqo New Energy Corp. (NYSE: DQ) is a leading polysilicon manufacturer based in China that aims to become a vertically integrated photovoltaic product manufacturer. Daqo New Energy primarily manufactures and sells high-quality polysilicon to photovoltaic product manufacturers. It also manufactures and sells photovoltaic wafers and modules. For more information about Daqo New Energy, please visit www.dqsolar.com.